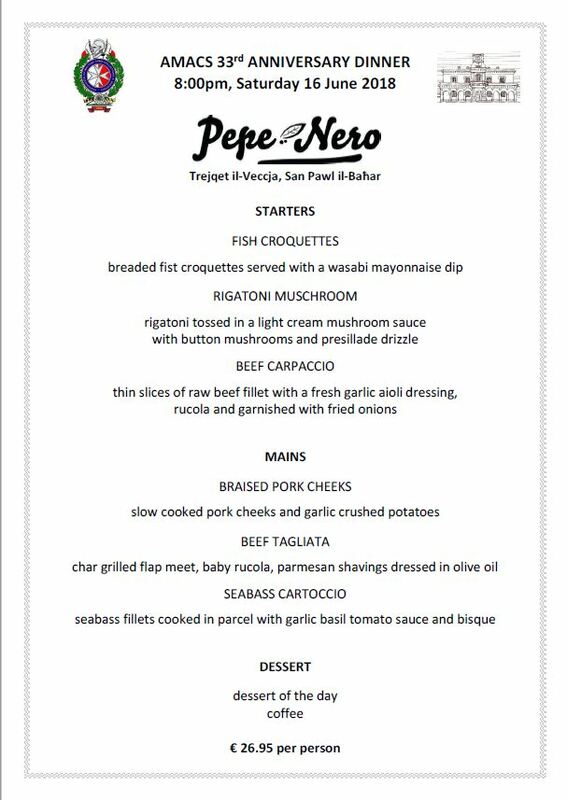 The Association will be holding its anniversary dinner at the Pepe Nero restaurant on Saturday 16 June at the Pepe Nero restaurant in Trejqet il-Veccja, San Pawl il-Bahar. Come and join us for a sumptuous meal in the company of fellow members and friends for just €26.95 per person. Let us make this an occasion to remember! Dress is smart casual. Booking are being accepted against payment received by Wednesday 13 June latest. Please advise choice of menu when booking.